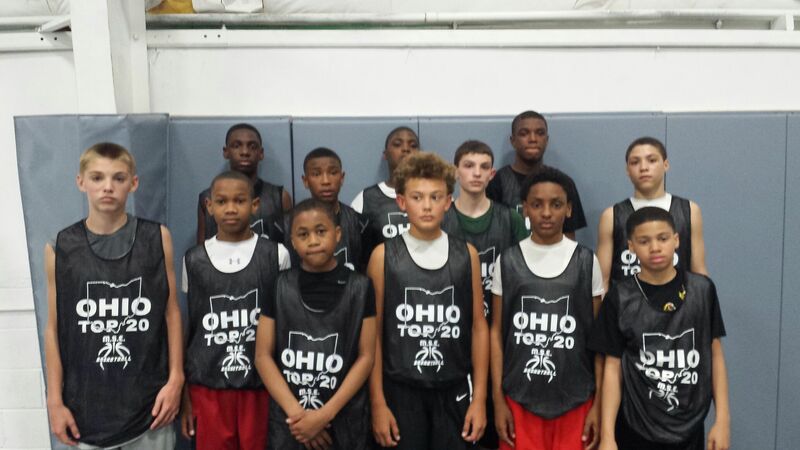 MSE made its first trip to Ohio for the Middle School Elite Ohio Top 20 Showcase hosted by Pro Bound Sports in Blacklick, Ohio; and the gym was packed with talent in every class. These players brought their “A” games and came in with something to prove and that they did. MSE can say with 100% certainty that some of the nation’s top players in their respective classes were in the gym for this event. Over the next few days continue to check back as we introduce you to what will soon become household names across the country for years to come. 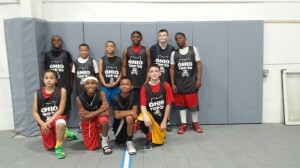 Coach Francis advised via conference call after the event “…the future of basketball was on display” in Ohio this weekend. The first game of the day set the tone for the event from the opening tip; this game featured dream match-ups in the backcourt with Sean Jones vs. Chris Windborne and Sarmartine “Fat Man” Bogues vs. John Mobley Jr. all four of them top 5 in their respective classes. Each displayed and delivered the skill sets that they have become known battled each other at both end of the court. The biggest statement may have been made by newcomer Josiah Harris a 5’7 120 lbs. member of the class of 2022 who dominated in every facet; scoring, rebounding, blocking shots, and displaying a handle that has rarely been seen for a player his size at this stage of development. Harris showed the ability to play all three front court positions and was equally impressive guarding the perimeter as he was scoring from it. Najih Wright scored and handled showing great versatility at both guard spots. Shawn Thigpen used his great length to fill the lanes and finish in transition while being a multi-category contributor on the boards and played the passing lanes like a player well beyond his years. Two members of the 2024 class also shined brightly; Jacob Climer who just recently stated playing has learned and put to use a solid fundamental package playing within himself – while top 5 Kent Hairston amazed with his scoring prowess verses players two years his senior. The two 2021 games were free flowing and defined by individual skill sets; players conceded nothing to each other regardless of status or name and battled from tip to buzzer. Seth Wilson and Noah Rittinger put on a scoring display for the ages battling in a game within the game – each player has been in the gym since the last time we saw them and have added multiple new aspects to each of their games. Josiah Mobley battle injury but showed why he is combo guard to be reckoned with in the state of Ohio; Mobley morphs into whatever the coach and his team needs at the given time. Jaivon Miller passed and handled like a pure point guard finding open teammates controlling the pace and scoring when given the opportunities – this player can clearly be projected to this position already and plays it well. Mario Davis showed speed and finishing ability as well as a solid 3-point shot and guarded his position well; fundamentally sound once he found his grove he was dominant for stretches. Jake Koverman performed well on the boards and dominated defensively with the 10+ blocks in the two games; he filled the lanes and showed expanded range off the catch and shoot; mixing in some mid-range finishes he played a very complete package. Quincy Clark was very quick off the dribble and penetrated well, he was extra tough in transition where he only needed an inch to make good things happen. Marcus Stewart was impressive as a combo forward absorbing contact and finishing as well as being a factor on the boards; combine that with a soft shooting stoke we were impressed by the overall package – this kid has a big body and knows how to use it to his advantage. Jaden Hameed quietly made a name for himself battling Wilson on both ends, he guards the position, handles, and scores effectively from 18-feet and in; this is a player to keep your eyes on as he does a lot of things well and has the ability to be a big time scorer. The upper-classmen put on a tremendous offensive display; combining the three-point shoot with penetration, and some very nice ball-handling. Grant Huffman (2020) put his imprint on the event and his name on the map with a very impressive versatile game; Huffman handled, assisted, rebounded and scored in every fashion a basketball player could. With nice length and athleticism he has a basketball build, IQ, and demeanor to be a big-star. Teavon Pierre-Louis (2019 – Age Eligible 2020) relentlessly attacked the paint and then displayed long ball range; refusing to give up the dribble he was a game changer all weekend long. Cameron Johnson showed great range and an ability to find open spots; a pure stroke proved valuable as he knocked down open and contested shots. Brendon Raymond defended the perimeter very well and shot off the catch and bounce – we really like him in the open court as he found his spots and made his mark. Nicholoas Ferguson ate space in the lane and played solid screen roll basketball – he passed very well out of the post and used his size to contribute on the glass as well. Justin Smith hurt the defense from the short corner and baseline using his length and handle; a force inside and out he enjoyed the contact and finished through it. Ketaan “Keewee” Wyatt true to form distributed the ball and set up teammates all weekend long; the consummate PG he made those around him look better as he battled an ankle injury for the majority of the event, yet refused to sit out. Darnell Pegram impressed with a textbook stroke from the outside, guarded multiple positions, and was always around the ball. Omahn Dobbins showed 3-point range and controlled the tempo even in a camp setting – it’s a skill to not let the game speed you up and he showed it. MarSaun Robinson played and scored from the lead guard position using penetration and the 3 ball all in the flow of the game, while still facilitating; his cerebral nature combined with aggressive attacks in space and transition had him looking good with the ball in his hands. Aaron Whitehead buried multiple trey balls all weekend long; while showing he can still run the show – a scoring one whose future will be at the lead spot only needs to guard the position effectively and that will make it hard to get him off the court for whomever he plays for at the next level. Josh Ball has been well drilled and showed it in all elements of the game – a high IQ player, this is the type every team needs and every coach wants; we loved his motor and his awareness along with his ball-handling and jump shot – think Clay Thompson and you have it in a young Josh Ball but his favorite player is LeBron! Evan Conley floated around the strip and knocked some impressive jumpers; he worked well of screens and pulled up in transition showing great confidence with his shot especially off the catch and shoot. Anthony Byrd Jr., we liked a lot especially in the open court; he is a natural multi-position scorer and was hard to handle off the bounce. Devin Askew who flew in from the west coast showed range on the trey ball as well as a very quick release – we liked his ability to get his shot off against tough defense and the off the dribble; handled well and forced the issued pressuring the defense in the paint. Showed lead guard ability with potential combo attributes as a scorer – with added size he will be able to serve both roles effectively at the next level. Zeb Jackson was much more deliberate since the last time we saw him, thinking the game at a faster rate; still lethal as a scoring we like his facilitating a tremendous amount – the added dimension actually made him harder to guard with was never a pleasant task. Quick release and range is a tough thing to defend and Jackson has both. 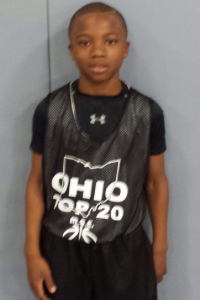 Sean Jones (2022) – One of the most complete Point Guards in the country hands down. He handles, scores, passes and puts constant pressure on the defense. Laser quick from point to point and baseline to baseline. Plays both ends of the court with a high motor; everything about this player says “future star” – excellent size and strength for the position and advanced IQ – without question a Top 5 National player. Najjih Wright (2023) – Natural combo guard who can score and handle – more of a shooter than a scorer at this point; displays a very well rounded game for age. Wright is poised for a quality future at the PG position with above average scoring ability. 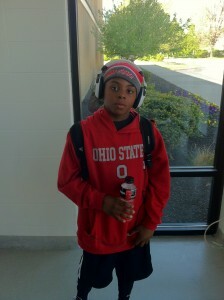 Kent Hairston (2024) – One of the best in his class; shoots the ball extremely well especially off the catch and shoot. Exhibits tremendous ball-handling skills at this stage of development; and can scorer in big chucks – fantastic size and length already allowing him to play and guard multiple positions. Josiah Harris (2022) – Best big in the country period; there isn’t anyone else in the conversation at this stage. Absolutely amazing overall skill set for a player his age and size; blocks shots, boards, size and length are off the charts – bigger than height and weight wise that some 7th graders. Offensively Harris is virtually unstoppable in the painted area but not afraid and his able to score from the perimeter off the bounce and the dribble. John Mobley (2024) – Pure Point Guard with natural instincts for the position, possesses a nice scoring package as well which includes floaters and mid-range action. Speed personified with the ball in his hands pressures his man and defense and makes the players around him better. Top 10 national player at this stage. Sarmartine “Fatman” Bogues (2023) – Point Guard that can flat out score. Attacks the basket and shoots from deep. Punishes defenders with the ball in his hands and is dangerous anywhere on the floor due to offensive skills and court vision. Well-seasoned on the national stage, no situation is too big and nothing rattles him. As been considered a top player in the class for an extended period of time and did nothing here to change that. Christian Winborne (2022) – Prolific scorer; who can do it in an abundance of ways; shoots the 3 ball, penetrates and finishes against size, gets to the line, fills the lanes on the break. As well he does it on the defensive end creating opportunities for his team. Perfect scoring wing who may be the best assassin in the class on the offensive end. Jacob Climer (2024) – Good fundamental game and plays within himself; knows how to find his spots and takes advantage of his opportunities – new to the game and showed the love and desire to compete on a high level in his class and in the future. Shawn Thigpen (2023) – Love his length, true lane filler that handles well in transition. Boards on both ends and knows how to use his size to his benefit is many aspect defensively and offensively. 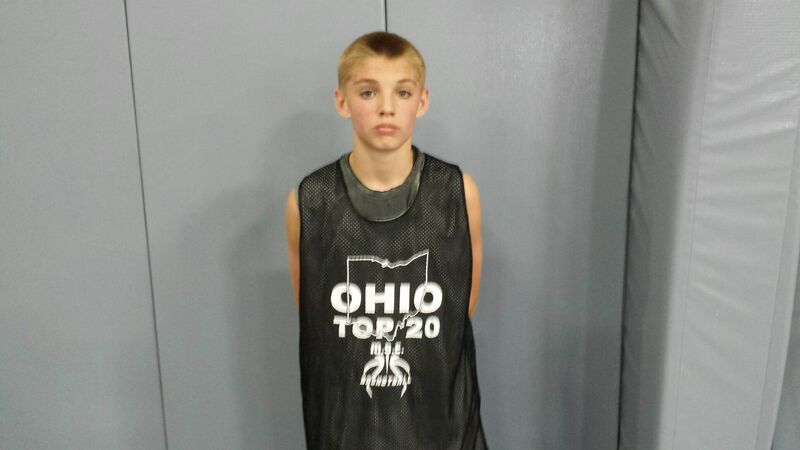 Cameron Johnson (2022) – Already knows how to find his spots and how to get his shot off. More of shooter than a scorer at this point he displayed great range and shooting ability. Can come off screens and catch and shoot; will hurt you if left open and will space the floor for his team. Brendan Raymond (2022) – Great open court player and excellent perimeter defender – we like his rapporteur offensively off of the dribble and shows great shooting stroke. Like his size and quickness for his position and is very versatile on the defensive end. Seth Wilson– Did it all, all weekend long averaging a double/double in the games played. Showed handles under ball pressure, shooting range out to 23+ feet. A dominant player in his class that cannot be stopped man on man; a prolific scorer who does in on all levels and from all places on the floor – size, strength, and athleticism are off the charts already. Projects as a big scoring guard who can post and finish against anyone; lockdown defender as expanded his national worth and profile – Top 3 in class on any and every board. Josiah Mobley – The definition of a combo guard, Mobley is able to play both backcourt positions well. As a point he run the team and see plays develop in advance, pushes the ball and makes the right decisions in the transition game. As a scorer he get low and penetrates past the defender; nice mid-range package and length. We love the way he talks and communicates; a natural leader on the floor. 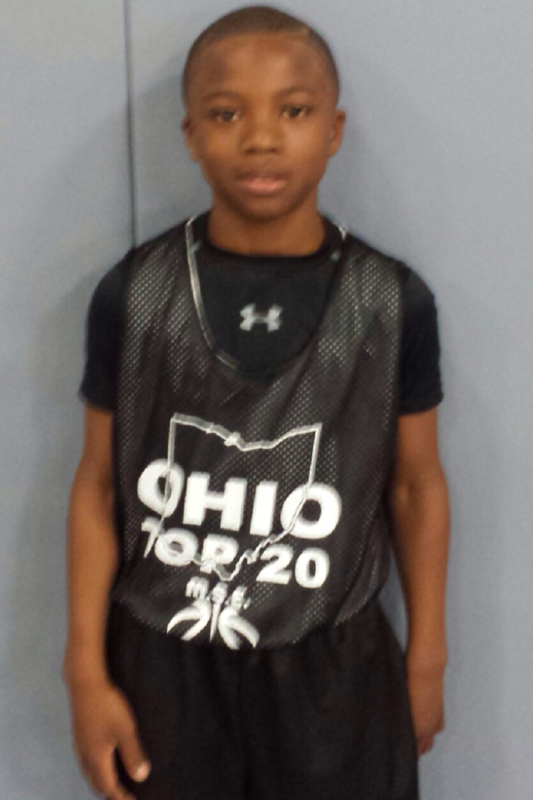 Javion Miller – Pure pass first point guard whose position is clearly defined moving forward. Maintains the dribble at all times, probes the defense looking for openings and passing lanes and loves to see teammates score. See the floor in the halfcourt and leads the break with high percentage plays. Is developing scoring ability to go with the current floor game, keep an eye on this player. Mario Davis – One of the most coachable kids we saw all weekend, wants to be good and has the work eithic and skill set; handles and shoots the 3-ball well, excellent form on shoot. Came on late showing scoring ability from the PG position and ramped it up on the defensive end – a nose for being in the right place and wants to win great kid and coaches dream. Jake Koverman – A defensive stopper who blocked shots all weekend long, a future stretch-4 who can space the floor with shot – improved ball handling made a big impression and displayed a nice finishing package. Very unselfish player who contributes in multiple categories; has a tremendous upside for a player already performing at a high level within the class. Quincy Clark – Combo Guard that goes hard to the basket. Can finish with contact. Capable of getting defenders in foul trouble. Doesn’t need much space to finish and/or get into the teeth of the defense – likes to operate in space and scores well moving towards the hoop and in transition. Marcus Stewart – A perimeter player excellent size that plays a smooth physical game; already adebt at using is body to finish and scorer – absorbs contact and keeps moving. A big 3 or a nice combo forward that gushes versatility while scoring from all spots we saw him in. Solid outside shot and nice off the dribble game, rebounds in traffic and has a nice ceiling moving forward. Jaden Hameed – Strong Wing that can shoot the ball and put it on the floor. Great rebounder. Combination of size and skill is very impressive, showed the ability to shoot with range and with pressure. Proved he can guard the position and doesn’t back down from contact or challenges, lefty who is deceptively quick and who can pass and see the court well. This may be one of the best finds of the weekend this player has big time scoring ability and potential – can make it happen on the offensive end a lot of different ways. Hard to stop; this is a name you will be hearing in the future should be considered a top player in his class immediately. Noah Rittinger – Noah has expanded his game since the last time we have seen him; previously more of a scoring 2 guard, he has made the full conversation to the PG position yet still maintains a high performance/high percentage scoring game. Advanced moves on moves and finishing package were on display this weekend scoring consistently from all three levels – shooting the trey off the bounce and off dribble moves were impressive skill set improvements as well as his floater game. The quickness has progressed and penetration is becoming razor sharp – with the aforementioned interior scoring package to match he is becoming very hard to guard for long stretches. One of the major surprises was his effectiveness on the defensive end – showed no fear and likes the challenge of stopping top players on the court. Noah is a coach’s dream in every way and will remain a top 10 player in the class for years to come as game continues to expand. Jalen Sullinger – Crafty PG who likes to push the rock, changes speeds very well displays a solid shooting stoke and mid-range game. Plays the angles very well, and is aggressive attacking the gaps, knows how to the play the game and operates with confidence and leadership. Grant Huffman (2020) – Huffman did it all the entire weekend; boasting an athletic frame with excellent length he impressed with his ball-handling and total package. A maven on the on the boards, he showed he can bang with the big boys in the paints – especially adept on the offensive glass. A pure scorer Huffman showed he can do it, in all ways – getting to the line, steals, offensive boards, great lane filler. Also displayed a solid pull-up and mid-range game that included three-point accuracy – Guards 3 to 4 positions well; a diamond in the rough who can now be considered 14K; this player will be moving up the boards as one of the most versatile and complete players in the glass. Nicholas Ferguson (2020) – Space eating big who excels in the pick & roll game; is learning to use his size to his advantage to gain advantage on the board and in the post. Passes well out of the post on the strong side and knows how to repost. Once conditioning meets his current level can be a solid effective player. Justin Smith (2018) – Showed a very consistent stoke at the combo forward spot; using the baseline and short corner attacks with efficiency. Very effective off the block but can handle out to 15-feet showed the ability to get to the lane and finish; enjoying the contact on the way. Nice size, length, and basketball IQ – the right coach and situation will benefit from array of talents he has possesses. Ketaan “Keewee” Wyatt (2020) – Battled injury; but played the role of the consummate PG the entire event; pass first to the extreme he loved getting teammates involved and did so at a high level. Excellent off the bounce he can pass on the traditional rotation vs. pressure and off the dribble. Not many players this unselfish at any level, must be coached to look for his shot – almost unheard of in today’s game; can handle in tough situations once the size catches up with skill and skill level is high he will continue to make his imprint on class. Darnell Pegram (2018) – Like the shooting form, worked extremely hard on the glass and on the defensive end; very unusual in a camp setting meaning he will get after it for a true team. Guards multiple positions and was always around the ball making good things happen. Brings a lot to the table, complete player. Omahn Dobbins (2020) – Like the pace in which he plays the game – deceptively quick with a penchant for scoring the ball. He plays and scores in the flow and controls the tempo when the ball is in his hands; likes to use angles to create passing lane a very cerebral point guard, watching him you can see the play develop and BOOM he makes the right pass. Well-schooled player with above average perimeter. MarSaun Robinson (2020) – MSE has watched grow-up and add dimensions to his game, excellent finisher vs. size, takes contact in the front court and in the lane and still gets the job down. Displayed a vastly improved jumper and made the defense pay off dribble drives making opponents pay all weekend long in traffic. Made a lot of trouble in transition playing effectively on all levels and still involving his teammates proving that he can score and still play effectively at the lead guard position. Aaron Whitehead (2020) – Extremely effective behind the strip for the entire weekend and was one of the pleasant surprises – too small to combo, but scored on the books like a veteran 2-guard; plays the 1-lead guard so what an added gift for someone. Like his quickness which means he can be an effective defender too; we saw is prowess on the offensive end where he was very effective. Emotional high energy guy who cares deeply about his performance – nice handle/scoring package works very well on the dribble drive and two man game as well as in space…refinement is required but when it is watch out! Josh Ball (2019) – Very fundamental in all aspect of his game. Displayed big-time IQ and motor, comfortable in all areas of the court – ultimate glue guy; next level coaches will love – natural shooting guard who gets the job done. Has the mental aspect to play the one and once there will be able to space the court even more than he does as a SG – we like the upside an immense amount and this player must be paid attention to in the future. Taevon Pierre-Louis (2019-AAU 2020) – There was something different/special about this kid; he played like his future depended on it; he was hungry and would not be denied. Relentlessly attacked the hoop in the morning session and then nailed 5 3-pointers in the afternoon. Worked at the lead guard position effectively seeing court very well, murdered defenders from the wing and played back to basket basketball for good measure; even displaying great vision and passing ability off the post. He put it all in display and plays with a big heart – great length and guarding ability; this kid is special and scores at a high rate of efficiency. A name that must be paid attention moving forward. Evan Conley (2019) – Catch and shoot player, who also has a nice mid-range and floater game. Works well off screens, Rex Chapman type – quick release player who like the score and can do so with great proficiency. Can space the floor out to 25-feet with his range; a shooter type that every team would want and needs. Anthony Byrd Jr. (2020) – Natural multi-position scorer a solid threat off the catch off the catch and bounce. Performs well in the open court with the ball and as a passer excellent teammate to have; can affect the game in many ways using angles and getting to his spots; perfect system player and very coachable. Is able to covert specific task when given and makes the players around him better; can stop on a dime and works well at the second level, continued development in space will enhance his value – but has high potential and ceiling. Devin Askew (2020) – Quick release shooter and solid ball-handler, more of a combo right now but a future one – better when attacking and performs well in transition. Has an array of finishes in the paint plus good shooting range. Shows ability and versatility with ball in hands – playing off the ball will only enhance value good in the pick and roll situations and two man game. Camp setting for first time but IQ showed ability to adapt; an be a good catch and shoot guy and combination scorer with the right situation maybe a system guy; but without a doubt a quality asset for any team. Zeb Jackson (2020) – Bradley Beal type two man; quick release and pure shooter/scorer the consummate two man whose value is increasing with ablity to play off the ball – as a 1-man could be an assassin not an ability issue but a mental one. Only needs and inch and second to hurt you. Mid-range game is underrated and becoming a paint finisher could make him prolific from the scoring perspective. A willing defender who has good size and length, didn’t disappoint and played to strength all weekend – more unselfish then we have seen when he could have dominated, love his confidence and work ethic, a name that you will continue to see in the 2020 class without a doubt. 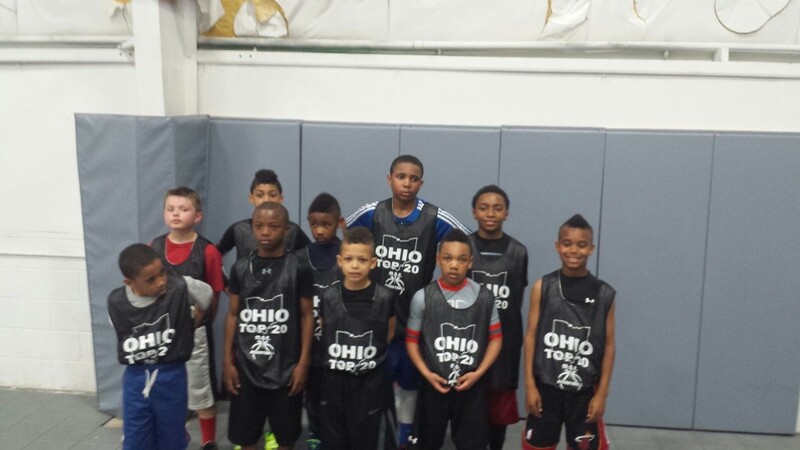 MSE is providing great opportunities for young players to showcase their talents. Great competition at the event, which afforded players the setting to get better…and see where they stand! Definitely worth the price of admission! Thanks for the love MSE! MSE provided a great forum for these young kids to perform. These kids have an incredible desire to compete!!! I never imagained kids could move so fast. Great match-ups!!!! There were some kids that showed great promise. Whether they go on to play college or just do high school, it was great to see that there are things out here for young kids to do, and MSE did a great job of putting it together. NICE WORK!!!!!!! Hands down this was one of the best events ever held in Ohio-started on time ended on time. Well run and professional done with class. Excellent talent that was put in a position to showcase their skills. Write ups were right on point as I watched each and everyone. Please come back so that we can show you more of what Ohio has to offer. 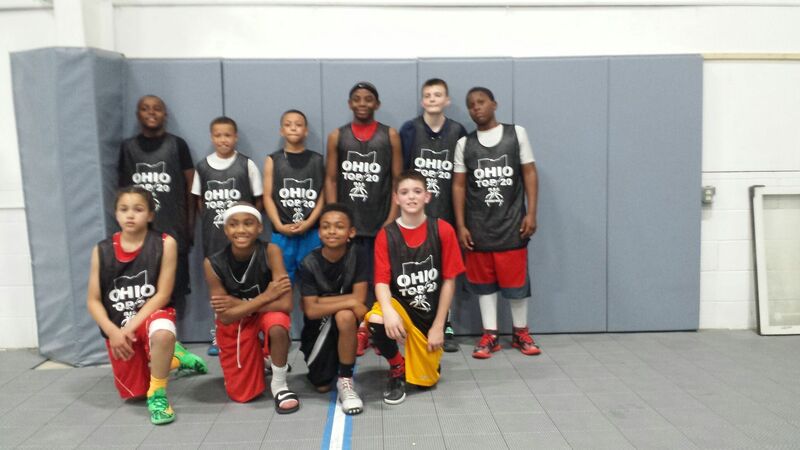 Thanks to Coach Francis, Thanks to MSE the GOAT in youth bball. Great Job everyone. Future Ballers in the making.Thank God for MSE showing kids a avenue an chance to travel and meet different talent coast to coast. Big time talent on display. Great showcase!